A buddy of mine took this picture of Bush Street newly renamed. More here and here. 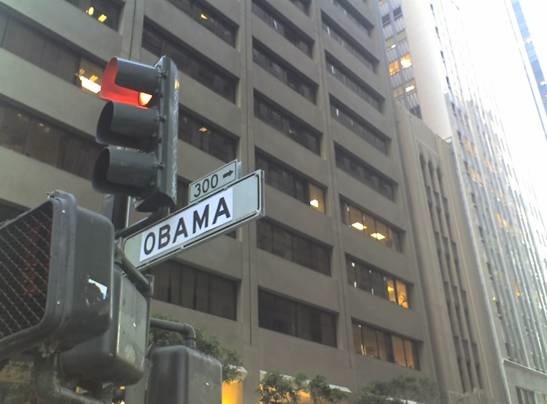 I like “Obama Avenue” myself.